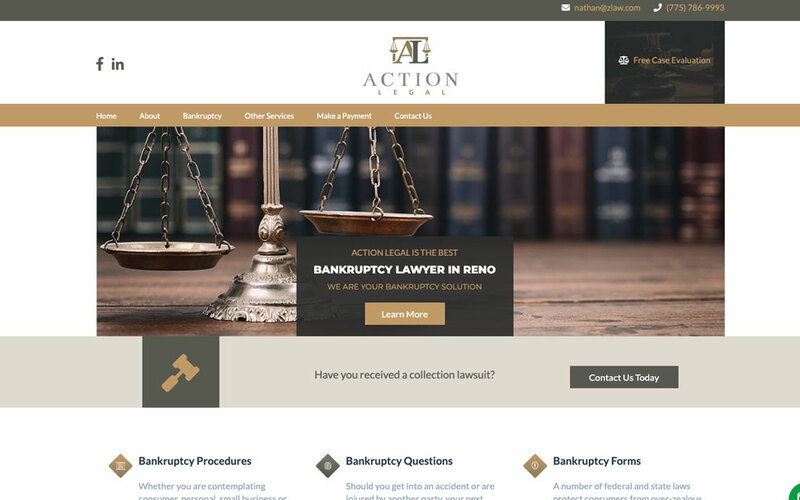 Action Legal is bankruptcy lawyer in Reno, NV. We built them a custom website design to help them generate leads and allow their visitors to easily find their contact information. View their project to find out what we did for them! Call us about your next web project. Find out why a local firm with knowledge and experience in the local market can help you!